How to Hear and Discern God's Voice (Part 2) | Polished by Calvin Purnell, Jr. 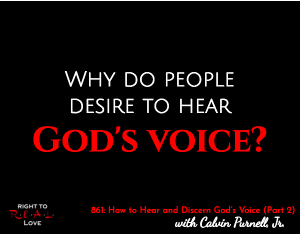 In this episode, Jay continues his discussion with author Calvin Purnell, Jr. by addressing the question: Why do people desire to hear God’s voice? Write the Book Now! Live Author Interview | Calvin Purnell, Jr. Copyright © 2016. Polished by Calvin Purnell, Jr.. BalboaPress || All rights reserved.